The Momentum Health Cape Pioneer Trek, presented by Biogen, continues to evolve and in its tenth edition it will undergo arguably its biggest change yet as Dryland Event Management introduce a four day taste of the Race With Soul: Momentum Health Cape Pioneer Trek Adventure, presented by Biogen. 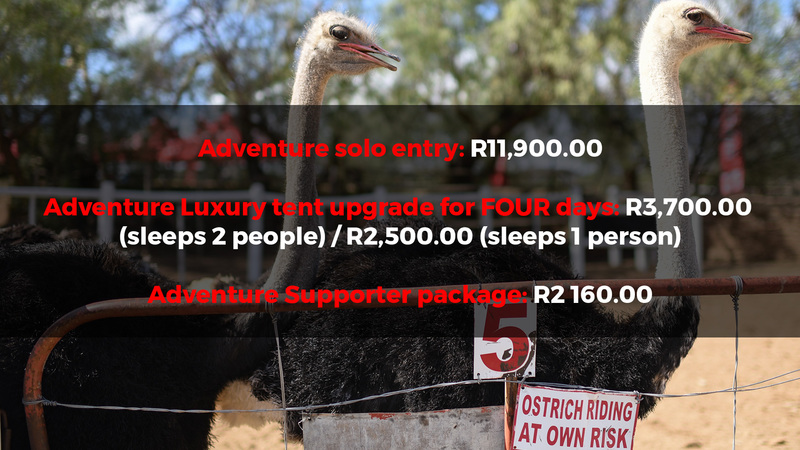 Running concurrently to the main event the Cape Pioneer Trek Adventure will start on the 11th of September 2019, in George, and conclude on the 14th of September, in Oudtshoorn. The stages will include a time trial through the forest singletracks of George, the traditional ascent of the Montagu Pass and crossing of the Klein Karoo to Oudtshoorn, the Queen Stage which concludes at the summit of the Swartberg Pass and the Grand Finale. In total the route will cover roughly 300 kilometres and provide riders with an intoxicating introduction to the world of week-long stage racing. Riders entering the Momentum Health Cape Pioneer Trek Adventure, presented by Biogen, will take part in the solo categories and there will be no racing awards, to help keep the focus on enjoying the experience. Race registration: Van Kervel High School, George. Race registration will take place at Van Kervel High School in Stander Street, George. On registration day, all racers will complete the registration process, which includes completing and submitting the Participant Waiver & Disclaimer forms. Before registration, please read through these important documents. During registration, you will receive your race package. Please check that all items that are meant to be inside, are inside – you will sign receipt for this! 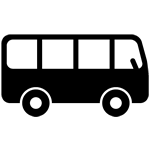 Riders must please remember to present a photo identification document (driver’s license, passport or ID book), so bring that with you. No late registrations will be allowed. If a rider has not registered, he/she will not be allowed to star. Relax and enjoy the race! Let us take care of your bicycle! Bicycle transport from Pretoria and Johannesburg to the Momentum Health Cape Pioneer Trek presented by Biogen. Three scrumptious meals per day. Hospitality comes courtesy of the local community with all meals prepared locally with home cooked goodness. EPT the ultimate recovery experience, a multi-disciplinary team, are privileged to provide you with a hands-on sports massage service on behalf of the event coordinators, Dryland. . Their massage therapy is administered with up to date treatment techniques, and effective treatment products, executed by highly qualified therapists. They also offer a variety of massage therapy products that enables the client to do self-treatment to ensure overall health of the body. Their professional services include recovery massage therapy, myofascial release, ice baths, strapping, taping and stretching. They also provide general advice on optimal recovery during and after the event. EPT is now working with COMPEX SA to provide you with another tool to aid in your post event recover. COMPEX, is an electrical muscle stimulation device developed over the past 30 years and houses up to date patented technology, or MI, scans YOUR muscle physiology and automatically adjust the parameters within the program to YOUR body/muscle state. COMPEX recovery programs are based on scientific evidence and results in a 300% increase in blood flow and 25% decrease in lactic acid. At race registration all riders will receive a Cape Pioneer Trek race bag and this will be the only piece of luggage that will be transported between stage locations, so please ensure that all your belongings fit into this bag. The race organisers will supply each rider with a comfortable mattress, but riders must supply their own sleeping bag, pillow and cover sheet. Please leave all valuables at home, the race organisers, and their partners, accept no responsibility for any lost or stolen goods. Fully charged and programmed with all the emergency numbers (supplied at race registration). Ensure that both riders carry a phone. Mobile phone charging facilities will be available at the race office. Consisting of 1 x stretch bandage, 2 x dressings, adhesive plasters, foil survival blanket and sunblock with a minimum SPF factor of 20. UST tyre repair kit, multi-tool, replacement derailleur hanger, inflation device (pump, bombs etc). A minimum of 2.5L of fluid to be carried by each rider. Three sets of cycling clothing (ensure you invest in some good quality cycling shorts). Biogen food bars, chews, energy drink and tablets will be provided. If you use any other supplement brand, remember to bring it with you! JP van Zyl is well known in cycling circles. Cycling is in his blood, so if you want to talk tech, he is your go-to guy. As the official bike technical service provider, he offers a very affordable maintenance option for the duration of the race and all bookings and payment can be done directly with him. Please Note: Only Race approved Service Providers are allowed. The Cape Pioneer Trek offers a full medical service at each stage location. Traveling medical personnel, including a race doctor and paramedics, will also be available en-route to handle emergencies. Serious cases will be transferred to any of the local hospitals that offer a more comprehensive service. Basic medical services are free, but treatment of recurring injuries or pre-existing chronic conditions will be for the rider’s account. Supplies for daily strapping will be available at a cost to the rider. Please remember to carry the details of your medical insurance in case of hospitalisation. Personal: Please bring your personal medication as prescribed by your doctor. We are riding through areas with lots of honey bees, so come prepared! Also carry sunblock with a sun protection factor of at least 20 SPF. The shuttles will cost R150.00. Please add this service to your online rider profile as bookings are essential. Cash or credit card. Also, new for this year we will be using the “cashless” mobile app, Snapscan. Simply download the Snapscan application from your mobile‘s application store and you won’t need to worry about cards and cash. There will be a laundry service. One of the shorter stages for 2019, taking riders in an easterly direction towards Louvain, our hosts for this fabulous stage. Loads of marvellous single-track riding traversing the Northern foothills of the Outeniqua Mountains. Herold is adjacent some of the best kept secrets in mountain biking – tracks so lovingly built and kept by the passionate people at Louvain. You will be blown away by this short and rewarding day in the saddle. FINISH: Louvain Guest Farm, Herold. We have an absolute treat in store for you on stage 4 – Kammanassie is back! Don’t be fooled by the 98km’s of distance, you will need all your ability to propel your bike over the nearly 2000 meters of climbing on this day. A steady approach to this infamous mountain leads riders into arguably the most desolate and scenic section of this year’s race, the valley through the Kammanassie Mountains. The change in climate and terrain is evident as we enter the arid desert like Karoo; riders approach Oudtshoorn from a different angle as we find our way towards Langenhoven Gymnasium, our hosts for the next couple of days. START: Louvain Guest Farm, Herold. This stage will have to stay, even though rated as the 2nd hardest in 2018 it was also praised as the best one. The mighty Swartberg Mountain was not accommodating in 2018, only allowing a handful of riders to the top in the treacherous and extreme weather. The queen stage will again be challenging, but those views make up for the effort. It will elevate riders more than 2000 meters vertically finishing at close to 2000m above the sea. This stage leaves Oudtshoorn in an Easterly direction negotiating the foothills of this great mountain as riders slowly find their way to the top. The final 8km is straight up to the best finish of any mountain bike race – the World Heritage site of Swartberg Mountain welcomes each and every one to its beauty and splendour. The overall yellow and pink jersey wearers should be decided here, tomorrow is Champagne day! After a well-rested night, the final day sees a start at Chandelier Game Reserve, home to another famous Dryland race, the Momentum Health Attakwas Extreme presented by Biogen. This day will definitely start with some game viewing as giraffe or eland cross the valleys and plains of this exquisite reserve. It is all about having fun and celebrating the achievements of the week gone by, 60 km of jeep-track up, single-track down! A fast race to the finish at the Queens Hotel caps a brilliant week in the saddle – until 2020.